My special treat on World Book Day: A great story about a lesser known subject told in a beautiful way by an amazing new indie author. Everyone should read something special on World Book Day, this would make an excellent choice. I saved this as a highlight for today. “Daughters of Iraq” by Revital Shiri-Horowitz is a touching and informative read, the story of three women from the same family as they live as Jews in Iraq and Israel. The story is told in alternating episodes jumping between three eras: Iraq in the 1940s and its seemingly happy Jewish community as it falls apart after the creation of Israel. Jews become the object of hate and most emigrate to Israel. Then life in Israel in the 1950s as the newcomers to the state realise they have lost their homes and some of their previous identity. And last life in Israel in the 1980s for the next generation. The writing moved me with its melancholic tone and all characters are beautifully created and lovable. the theme of migration and its effect on the women is very insightful and gave me a lot to think about. Jewish people of various national and cultural identities having to blend together, overcome language barriers and re-define themselves in a new society that has stripped them off their previous status. This book is rich in so many ways, I can only recommend you pick it up and read it. Thank you for joining me here today, Revital Your book has had a huge impact on me and I am so grateful you took the time to be here. Tell us, how did you come to writing in the first place? Is this your first book or have you written before? 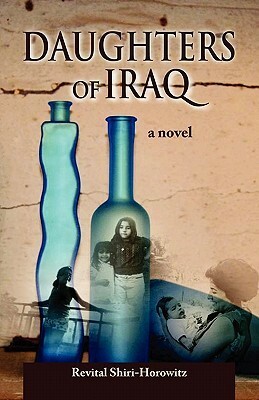 “Daughters of Iraq” is indeed my first Novel. I never thought I would become an Author one day. I actually wondered for many years what I was good at. But since I wrote my book I know this is my destiny, and I feel so fortunate to be able to have that gift of writing, and sharing thoughts and feelings with others. What was your connection to the subject? Is it members of your own family that are from Iraq or is there no connection? “Daughters of Iraq” is a Historical Fiction book, based on my family story and History. The story about life in Iraq and what had happen to people there is my family story, but it is also fiction. The characters are all fiction, and I had to imagine many things in Iraq, since I have never been there. I was born 15 years after my family left Iraq. Israelis are not welcome in Iraq, so all my family, who emigrated from Iraq, never went back. I thought that someone had to write their story, or it would get lost and forgotten. I took writing this book as a mission of contribution to my family. When did you first have the idea for this book? What was your main aim in writing the book? I was a MA degree student when I learned that the story of the Jewish women of Iraq was actually never told. Talking to my aunt, who is also a writer, I decided to try and write their story. It took five years, many tears and hard work. I wrote it in Hebrew and it was first published in Israel, it was later published into English, and the rest is History. Thousands of people read it, I wish for many more, but if I had not written this book, the knowledge and the information regarding this forgotten group would have had disappeared. I see my role here as an educator. I remember debating between writing a documentary book or a Fictional History, I remember deciding to write a Fiction book. I thought that would give more exposed to the subject. I later learned I was right to choose that. The book took five years to write. 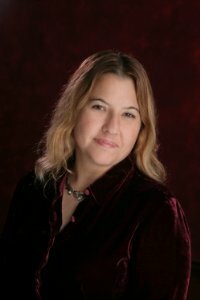 Between raising a family, and having so little time for myself, I wrote whenever I could. I call it “baby steps”. I need to see the target, and even if it takes years to get there I will get there eventually. I did it also while studying for 2 BA and two MA degrees. It always takes forever, but I do it any ways. The research included reading all possible sources about life of the Jewish community in Iraq. There was very little about the women, and I used my family as the main source of knowledge. It felt to me that the more I knew, the more I could sympathy with my parents and especially with my grandparents, who made that immigration, and had such hard life. I see this book as a present I am able to give my roots. We all know a lot about Jewish people in Iran. Did you find it hard to find readers for such a specialized and often forgotten theme such as Jews in another Arabic country? This is a very interesting question, since the Jewish were spread all over the Arab world, and actually in Iraq there was a bigger community than Iran. Not many people know much about that large Jewish community that had pogroms and were forced to leave their countries and move to Israel. There is so much to know about the Jewish lives there, and so little is known to people about the cruelty and the very unfortunate circumstances they had to leave and were not able to take anything with them. All their properties, jewels, money, even photos, nothing! They left with nothing. I think this is so sad. It is about time the world will know that Jews were not treated fairly and humanly. Would you say it is easy for new arrivals in Israel today to keep their cultural identity? I think that it is much easier today to keep the culture, whereas it used to. You must remember, Israel was established in 1948 after the Holocaust. People came from all over the world to the new state, and while trying to build something form multiple cultures; they thought at that time, that everyone needs to be reborn in a way that will create one Israeli character, a Sabra. So the Polish, the Iraqi, the Libyan etc…They all had to change, and me, who was born almost 20 years later, in 1965, still remember how embarrassed I was when my parents or grandparents spoke Arabic next to my friends. Now, over sixty years has passed, people understand that there is a uniqueness in every person, and beauty in every culture. In Israel there are many Museums and cultural centers, just to maintain those multiple cultures. It is defiantly easier to be a new immigrant, but as an immigrant myself, who moved to the USA, I can only say, it is hard everywhere and for everyone. You live in Israel and in Seattle – does that affect your own sense of home? I believe it does. I feel fortunate to be able and live in both places, but I admit, it is a little confusing sometimes. I still remember the first time that I realized that the “home” feeling is not necessary a feeling that is attached to a place. A home feeling for me is where my husband and kids are. The first time I realized this was Many years ago, when my husband traveled and left me in Seattle. I felt lost, and without a home. I then realized that for me “Home” felt where my husband was. I just need the time and a quiet place and I can write. I do not write when I am stressed, but otherwise I can write almost anywhere. I usually don’t rewrite. I just do not feel I need to. The problem for me to write is having ADHA. I need to take too many breaks…therefore I am not so officiate. It always takes forever for me to publish another book. I use the same editor in Hebrew. She is the chief editor of a well-known cultural Magazine and a publish house in Israel. In English version I used an editor who works for some Magazines in the US. He did a wonderful job too. I love reading Hebrew writers Authors. I love Mira Magen and Eli Amir. There are many other Israeli Authors I enjoy reading their books. In English I found myself reading mainly Women Authors, like Joan Anderson and others. I read Italian and French Authors too. I am actually in a process of work with my editor on my second novel “Hope to see you soon!”. It is a novel written partly in letters, telling the story of friendship between two women for 30 years, while one of them lives in Israel and the other in Seattle. I wanted to tell the story of women who immigrate: the challenges they are facing, and the friendship who is challenged too. I am also working on a new book, telling the fascinating story of a good friend who was born in the US, adopted as a little baby by a Jewish family, later immigrating to Israel, fighting in the Lebanon war and being seriously injured. He is an amazing man, and I thought that his story should be heard. This sounds like my kind of read. Thanks for finding all these great authors and introducing us to new books. Thank you, Christoph, for hosting and reviewing Daughters of Iraq. It’s on my list of “to be read” books, but I might push all the others aside and read this instead. Lovely to meet both you and Rivital through the interview.